One of the most important aspects of healthy aging is maintaining optimal mobility levels. Some seniors find it hard to enjoy life because they cannot get around as they used to when they were younger, the good news is that there are many things you can do to stay mobile and active so you can enjoy your older years in style! The truth is that the more active you are, the stronger your body will perform, and allow you to live life to its fullest. Additionally, seniors who are active will improve their coordination, balance, and overall strength to help prevent falls and injury. Of course, weight loss and healthy weight management is another great side effect of staying active. It’s never too late to start and get that blood pumping! Always consult your physician before starting any exercise program to be sure it is safe for you. Regular exercise to improve range of motion will help improve overall quality of life. Active range of motion exercises are those that help improve joint function. Passive range of motion exercises are those that keep the joints flexible, even ion those who cannot move on their own. Walking is one of the best aerobic activities known to man. It has so many benefits and helps improve mobility as we age. In order to stay active and keep moving, the body needs energy and this means eating a diet rich in whole real food, with lots of fresh vegetables, lean protein and whole grains. Like food, sleep also plays a key role in optimal energy levels and so it is crucial to get a good night’s sleep every night. Many community centers all over the country offer senior fitness classes that are not only great for your health, but also tailored for the age group and will also allow you to network and make friends with like-minded people who are focused on improving their health and fitness levels. If you are in good health, you can easily play tennis, basketball, or any other sport you love. Team sports are great ways to stay mobile, in shape and meet people. Travel is a great way to stay active, and when you visit new places you will tend to do a lot of walking when sightseeing, giving you ample opportunity to stay active and have fun at the same time. Why not have some hand weights handy while watching TV? Or do some leg lifts while sitting on that couch. Park further away from your destination so you have to walk further. Walk around the house while talking on the phone. Dance while mopping or sweeping. Garden 3 or 4 times a week. There are many creative ways to stay active. There are many dance studios that offer dance classes and then have events where you can go and dance the night away. Dance is a great form of cardio exercise and is also a great social activity. 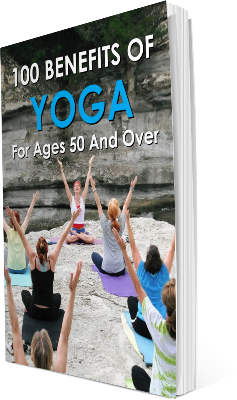 Yoga, Tai Chi and Qigong are all very low impact exercises that help improve balance, strength, range of motion and get you moving without really feeling like exercise. As you can see, there are many great ways to get active and stay mobile no matter your age. The more you move and the more physically active you are the better your quality of life in the golden years!